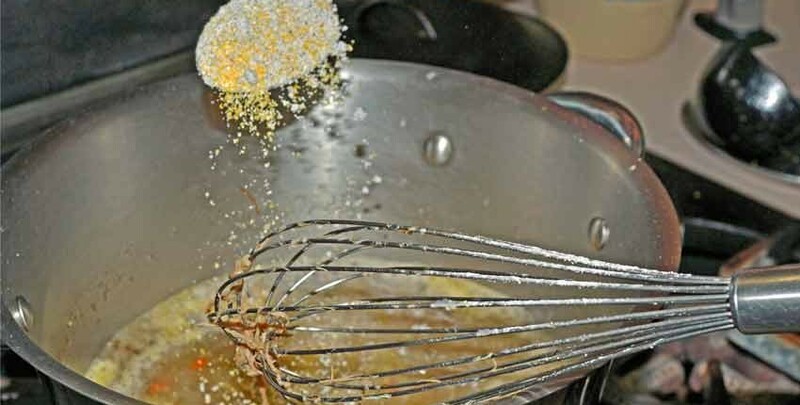 Making polenta takes a bit of time, care, attention and love but the results are delicious and will become highly valued by friends and family. 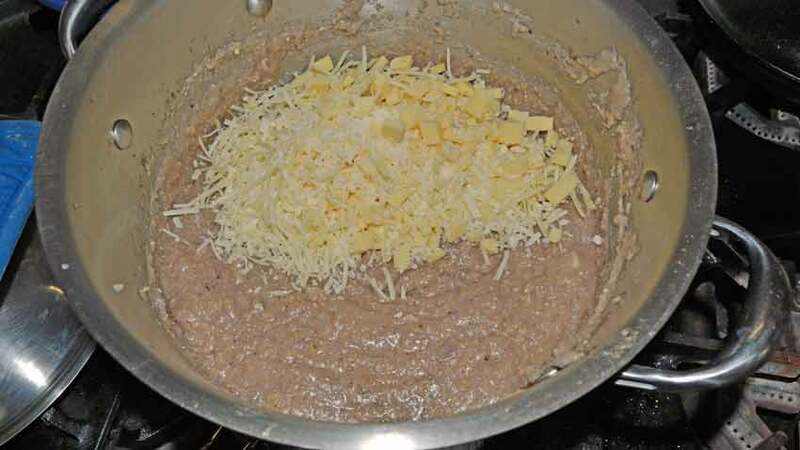 It is a peasant dish, a close relative to cornmeal mush that has been refined and is no longer just a starvation staple of poor subsistence farmers. Polenta is featured in highbrow restaurants with exotic ingredients anchored to the cornmeal base. Done the traditional way, polenta takes work – about an hour straight of constant stirring – but there is another method that is simply delicious without all of the work. There is still some stirring and a good timer is needed, but you won’t be chained to the stove the entire time. Northern Italy is where polenta is a staple, made from corn brought over from the New World and grown ever since the mid-1500s. 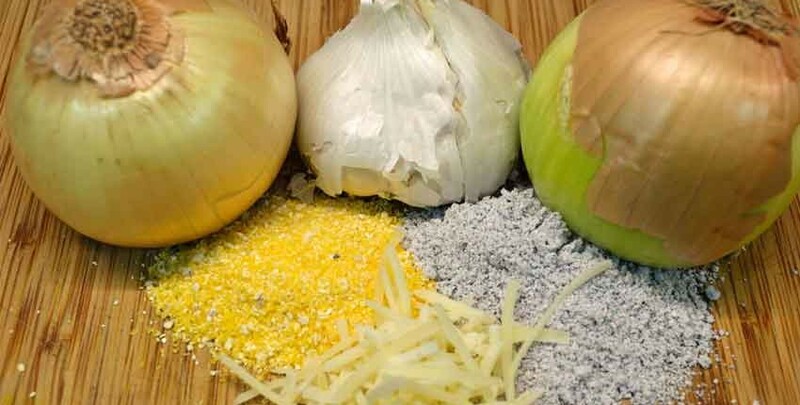 As with many Italian dishes, there are many regional variances from a light Venetian recipe to the Lombardy buckwheat and corn tradition that is mixed with garlic and aged cheese. Being invited to a home in Northern Italy and having polenta is an honor, a sign that you are not simply a guest but are considered as one of the family as polenta is home cooking and not for “company”. 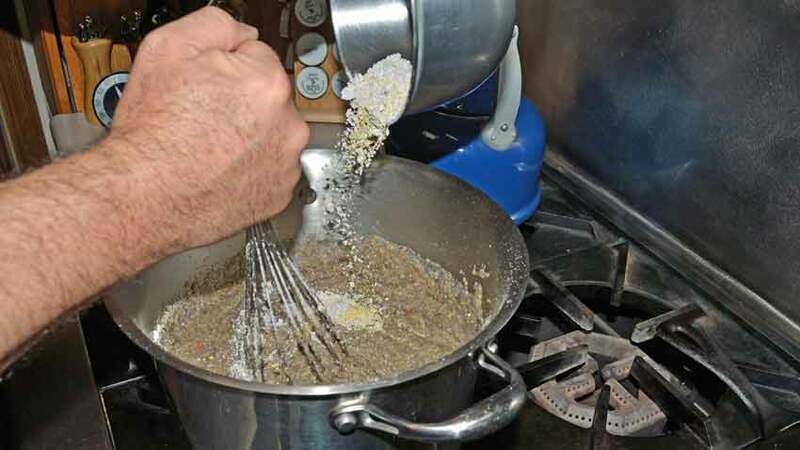 Part of it is the work involved to make it in the traditional way; the other is that until recently polenta was looked down upon as food for the poor and not to be served to honored guests. Now that those same Northern Italian areas have achieved wealth and status, polenta is eaten for enjoyment, to remember and as a comfort food. I’ve been a fan of Marcella Hazan for years. It was in one of her earlier cookbooks that I learned the simple method of successfully making homemade noodles. It isn’t difficult, but I found out that I was rushing the process and not allowing the noodles to relax between rolling them out. After reading her process where she walks through the process and explains why things need to be done in a certain way and at a certain time, I made the most delicious fresh noodles and became a fan of her writing. I was never able to take one of her cooking classes, but her books have always had that way of explaining why things are done the way they are, helping me to be a better cook and capture the essence of those flavors. Marcella has developed an easier method of making polenta that tastes like the traditional way. It still takes about an hour to make, but you can walk away from the stove for sections of time, going back to stir and monitor the process. You will see the cornmeal mixture turn silky and soft from coarse and grainy about half way through! In the spirit of cooking with more locally sourced ingredients, we’ve changed this recipe from corn and buckwheat flour to yellow and blue cornmeal with homemade smoked chicken broth instead of just water. Growing your own corn just for polenta will make complete sense during the very first bite! The flavors cannot be compared to any cornmeal that is store-bought. 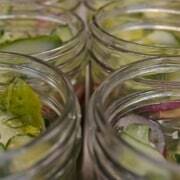 They will be richer, bolder, earthy and sweet with a substantial feeling after tasting. Making extra takes no more work and will give you extras for the next few days to use as an appetizer, side dish, breakfast foundation or snack. 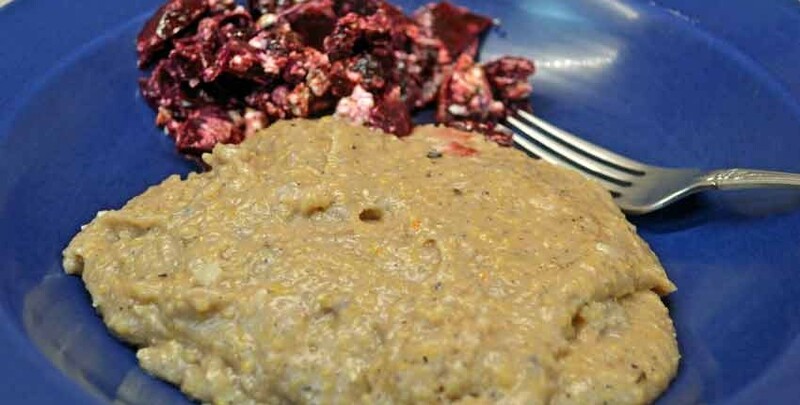 Our Southwest adaptation of Marcella Hazan's Polenta Taragna - Buckwheat and Cornmeal Polenta. Add the water and broth to a large heavy pot that has at least 3 - 4 inches of room above the liquid and bring to a boil over medium high heat. 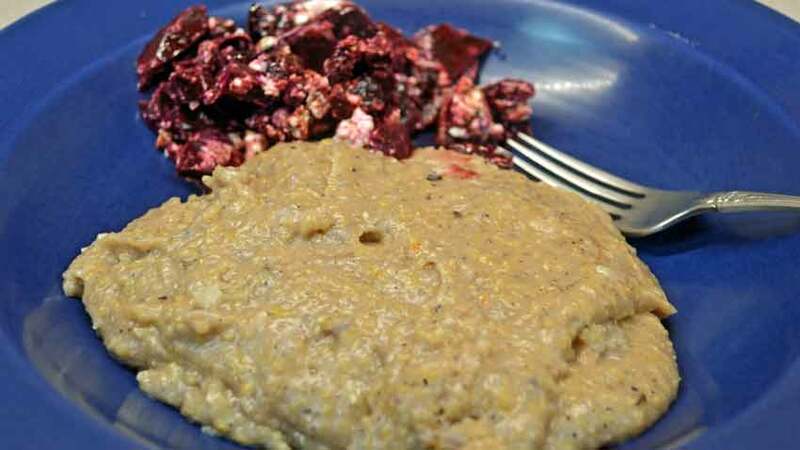 While water is heating, mix both colors of cornmeal in a bowl. 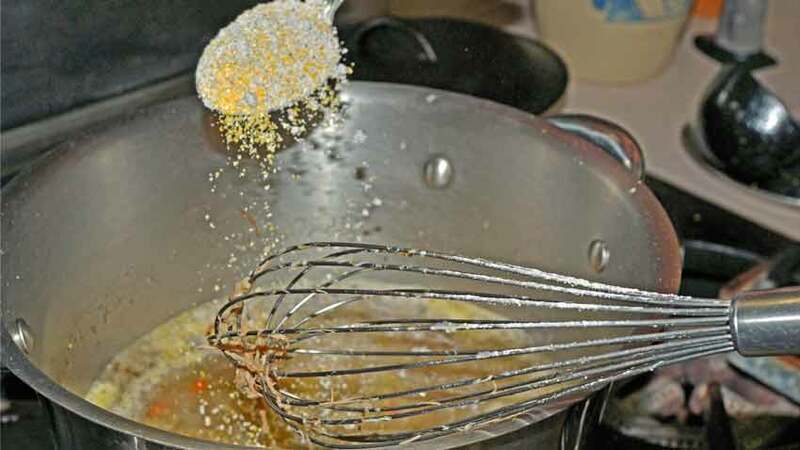 When the liquid is boiling slowly, slowly add the cornmeal to the water while stirring with a wire whisk. 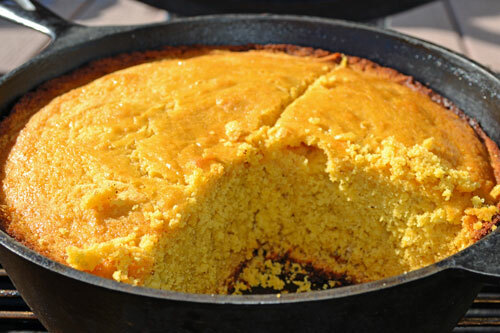 It is important to add the cornmeal in a thin trickle to avoid clumping. You can add it a fistful at a time or use a 1/2 cup measuring cup, just make sure to add it slowly, being able to see the grains as they trickle in. This step may take several minutes, just be patient. Once all of the cornmeal has been added, stir well for a couple of minutes with a strong long-handled spoon. Add onions and garlic and stir in. After stirring well, cover with a tight-fitting lid and adjust heat to a low steady simmer. Set the timer for 10 minutes. After 10 minutes, uncover and stir for at least 1 minute, preferably 2. Make sure to mix the mixture well and from different directions. Repeat timer 3 times, stirring well for 1 - 2 minutes each time. You will feel the mixture firm up each time. If needed reduce the heat slightly. 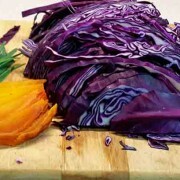 After 40 minutes you should see the mixture lose it's grainy, course texture and become silky, soft and creamy. If you are stirring at the time you will see it happen. 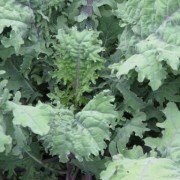 It will also begin to pull away from the sides of the pot into a single mass. 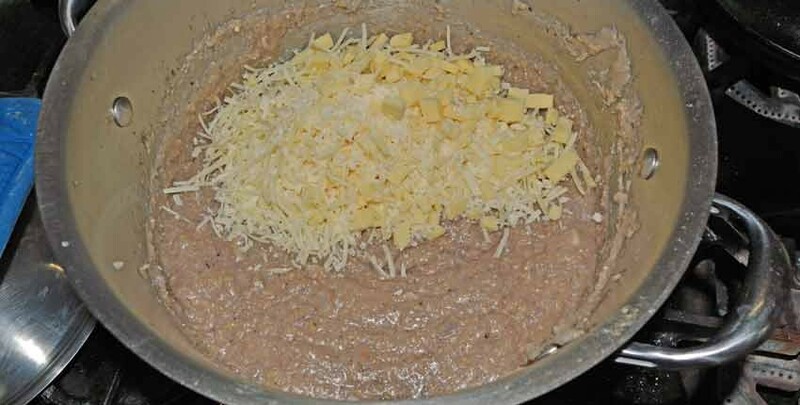 When it becomes soft and creamy, add cheese and stir vigorously for 1 minute, cover it, turn the heat off and let sit for 3 - 5 minutes to firm up. Serve hot with a rich roast, sausages, or roasted chicken. Allow extra to firm up either in the pot or scoop out onto a moistened board or counter top for use with other meals. Polenta is extremely versatile - grilled, pan-fried, with eggs for breakfast or warmed and drizzled with olive oil and Balsamic vinegar for an appetizer. 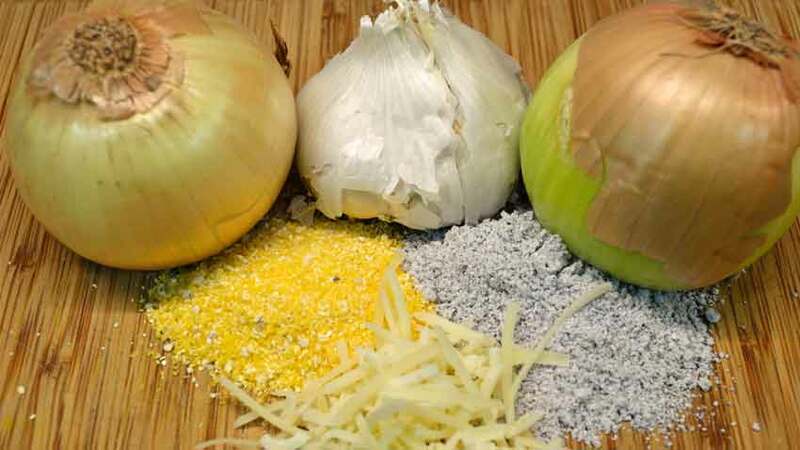 Amazing flavors come from such simple ingredients! A closer look at the main ingredients. 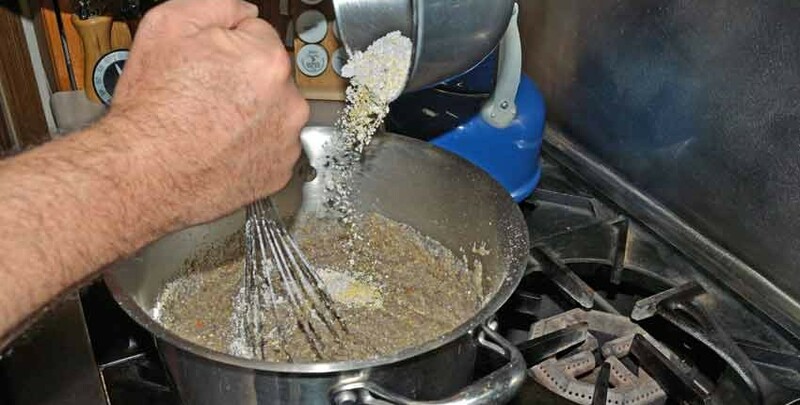 This is how you should add the cornmeal – trickle it in slowly enough to see the individual grains of cornmeal. The mixture will begin to get thicker at the end of adding the cornmeal, so you might have to change your grip on the whisk! I changed to the long spoon just after adding the rest of the cornmeal to make it easier to stir. This was at about 40 – 45 minutes. I added the cheese and gave it a good stir for about a minute. You may or may not be able to see that it has turned silky and creamy at this point. I turned off the heat, covered it and let it sit for about 5 minutes after stirring the cheese in. The finished result, accompanied by roasted beet and feta cheese salad dressed with olive oil and Balsamic vinegar. NOW I can make GOOD polenta! Thanks!!! You are most welcome Claire, please let us know how it turns out for you! Is the meal made from non-GMO corn? 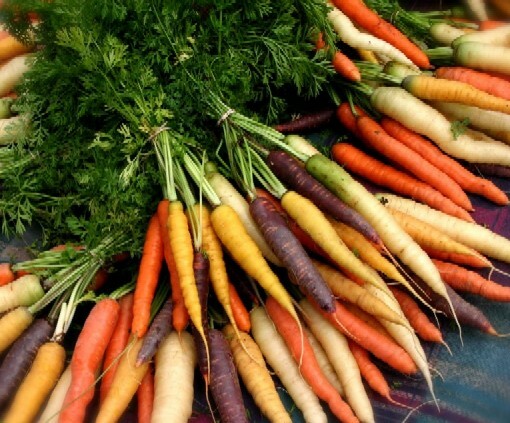 It will be if you buy non-GMO corn – which is any certified organic polenta or cornmeal or better yet, grow your own from heirloom corn and grind it for the absolutely best tasting polenta you’ll ever have! I thank you for the correct way to cook polenta. I was never able to get the smooth texture that I see on TV. I grew up eating it as my mom could really make it right. Being a boy I never asked her how she did it . You are welcome Leo! I hope that it has the flavors you remember.